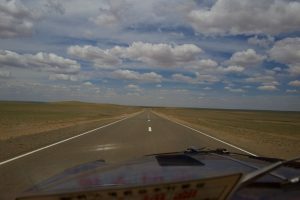 The Gobi Desert stretches into the distance but this is an easy start as the first 200kkm of the day are on a very good (pretty new) tarmac road. 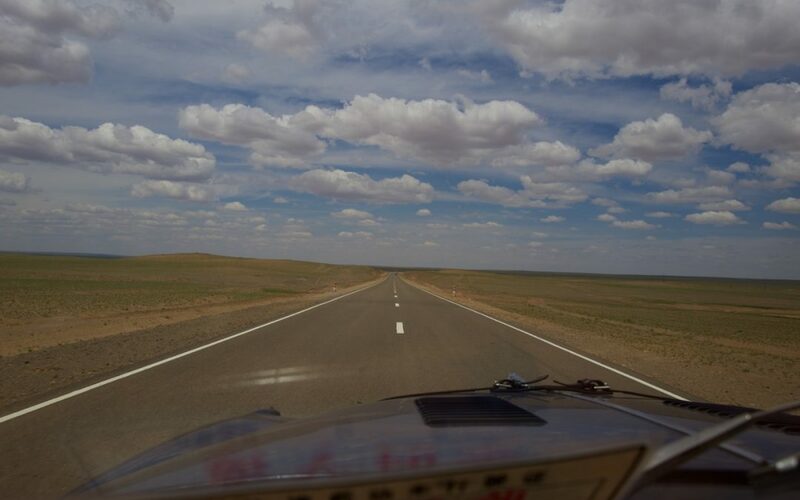 Previous P2P rallies have hit the dirt immediately – one of the problems for the route planners is that rural China and Mongolia are urbanising and building tarmac roads so quickly that it’s getting harder to find the good off road tracks from previous rallies. This is not a problem I am too worried about yet. Looking forward to off roading but this is a good start for us.